If you have any experience in a gym, you’ve seen and probably used a BOSU Balance Trainer. It’s a staple piece of equipment in facilities around the country. Now the folks from WeckMethod, the creators of the BOSU Balance Trainer, have released their next-generation fitness product: The RMT Club. The RMT Club (RMT stands for Rotational Movement Training) is a peculiar-looking piece of equipment. It would certainly be at home on the set of Game of Thrones. When I first opened the package, I received some curious looks from my co-workers, and I was intrigued about how to use this interesting tool. As I need to be with fitness products that come across my desk, I was initially skeptical. It weighed only six pounds, and I wondered how something so light could actually work. But after video demo with Marty Shannon, CEO of WeckMethod, I quickly understood the benefits of the RMT Club. According to Shannon, the RMT Club was created to overcome deficiencies in the exercises that we typically use to train. Deadlifts, Squats, Bench Presses and other exercises are fantastic to help you get stronger. But your range of motion is limited, because it’s not possible to move freely when handling heavy weight loads. The club is designed to be swung freely through the air or slammed against a padded surface. Although the weight load is relatively light—it ranges from 2 to 8 pounds—this is by design. It’s meant to be moved fluidly, and you don’t need to overexert yourself to swing it around. The exercises include swings, slams against the ground and chops where you rapidly decelerate the Club. The weight load takes the form of shot pellets in the top of the club, which makes it challenging to control during dynamic movements. The result: increased balance, coordination, strength and rotational power. Shannon explained that the RMT Club excels in non-dominant-side training—training the side of your body opposite your dominant hand. After using the RMT Club, athletes have seen Squat improvements by 30 pounds in only 30 minutes of training, just by teaching their muscles to fire properly and improving their balance and coordination. “If we strengthen your non-dominant side, we strengthen the entire athlete because you’re not compensating with your dominant side,” he added. 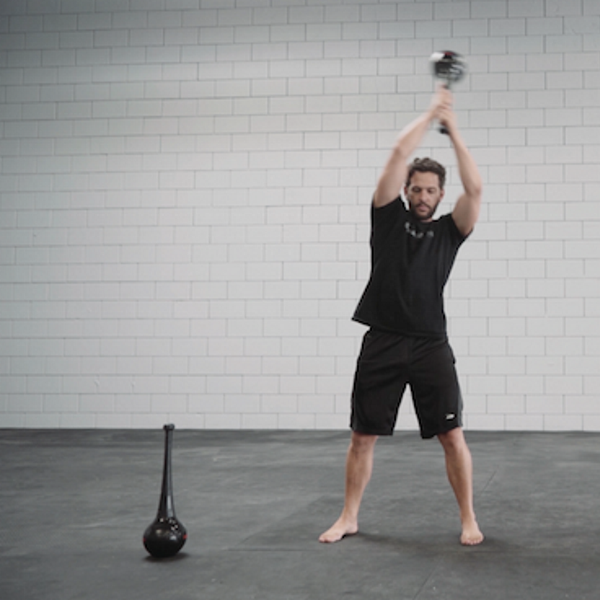 After a few months of testing the RMT Club, I’ve enjoyed using it in my workouts. At first, it felt awkward to swing it around, especially on my non-dominant side. However, over time I became more proficient in the various exercises thanks to greater control and balance. As I progressed, I incorporated the RMT Club into conditioning sessions. The shot inside the club provides feedback on your technique. Some exercises ask you to swirl the shot, then rapidly decelerate the club to make a loud sound or create as little noise as possible. The audio feedback helps you determine if you’re doing the exercise correctly and consistently. As with any piece of equipment, the key is learning how to use it. Here are seven exercises recommended by Shannon to get started with the RMT Club. The RMT Club is available at WeckMethod.com for $99.95.